Umbraco 7.6 introduced the new property editor ContentPicker2 to replace ContentPicker. ContentPicker2 returns IPublishedContent instead of Node ID. When updating old content picker partial view macro parameters to the new content picker type, you will need to make some changes to your partial view. For example, if you have a parameter called Widget that currently uses the original content picker the following would return an integer node id. But a parameter using the new content picker would return an identifier in UDI format similar to the following. To convert the UDI string into an IPublishedContent object, it needs to be parsed and then passed into the Umbraco.TypedContent() method as follows. 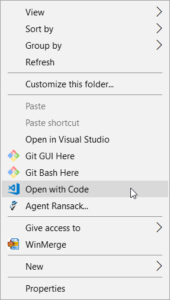 I recently started using Visual Studio Code at work. 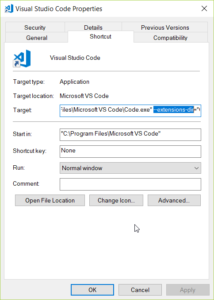 We have a size limit on our profile and VS Code’s extensions folder chews up space very quickly. So I had to work out how to move the extensions folder from the default location to stop it from counting against my quota. 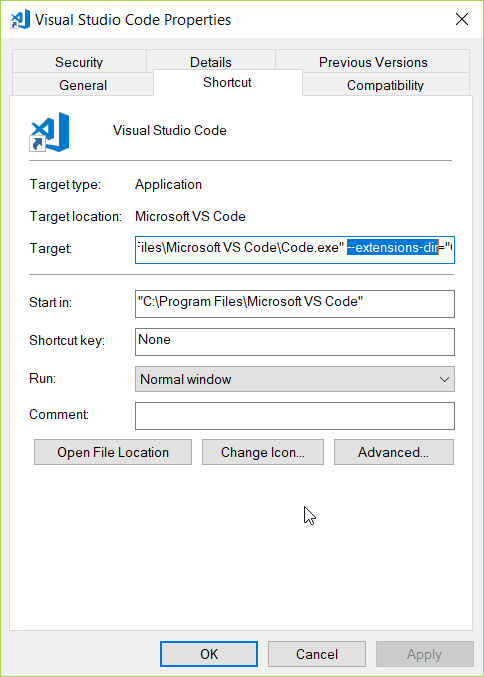 To change the location of the extensions folder there’s a command line parameter --extensions-folder you can use. 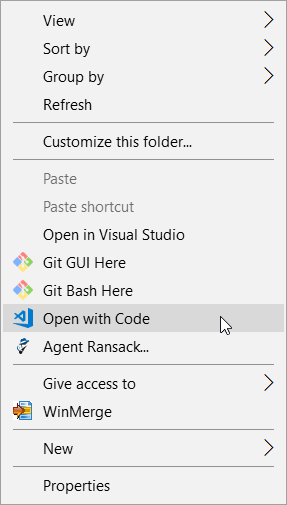 You will need to update all the Visual Studio Code shortcuts (taskbar, start menu, etc) as well as context menu “Open in Code” options for folders and background in Windows Explorer. 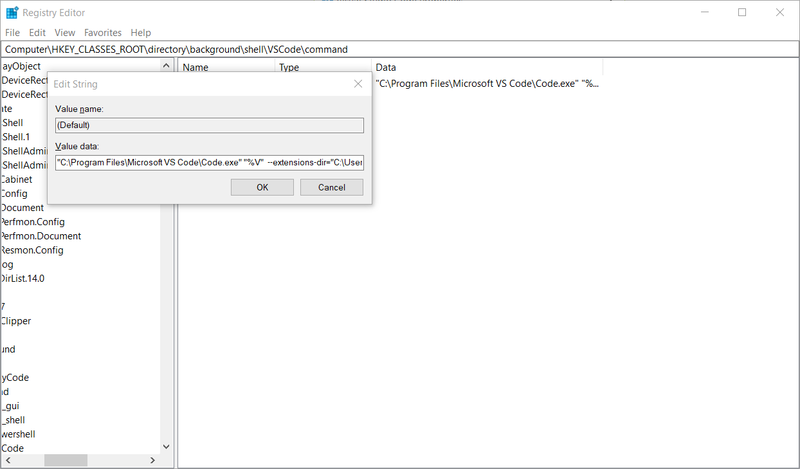 "C:\Program Files\Microsoft VS Code\Code.exe" --extensions-folder="C:\vscode-extensions"
When you first install Umbraco, Models Builder is configured by default to run in PureLive models mode and generates the model classes in the ~/App_Data/Models folder in the Umbraco.Web.PublishedContentModels namespace. If you’re like me and want more control over namespacing and location of your classes, it’s possible. I’ve worked out 2 different ways of to make Models Builder generate the models in a separate project in a custom namespace. 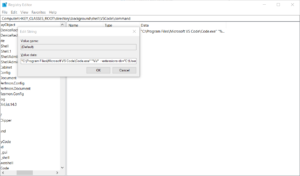 Changing the namespace is the same for both – set the namespace in an web.config app setting with key Umbraco.ModelsBuilder.ModelsNamespace. Dave Woestenborghs has a good description of how to set this up in his article about Models Builder. The second method uses LiveAppData models mode. I had to work this method out for myself because there weren’t any articles specifically about setting up LiveAppData to generate models in a separate project. I pieced it together by reading the Install and Configure documentation for Models Builder. The trick is to set the ModelsDirectory and the AcceptUnsafeModelsDirectory app settings. The directory will need to be set relative to the path of the project that has UmbracoCms installed. The AcceptUnsafeModelsDirectory setting needs to be set to true to allow the models directory to be set to a folder outside of the Umbraco website project. Both methods have their merits, but I think if you’re document types are changing frequently you’ll want to use the LiveAppData method. Last week I had to copy some files from Azure Blob Storage. Microsoft have created some new tools since the last time I had to do this. There’s now Microsoft Azure Storage Explorer and azcopy. The MS Azure Storage Explorer is a GUI application and azcopy is a CLI application. Both are and improvement on what has come before. Jeff Atwood posted about using Zopfli to optimise PNG images. Here’s how to set up Gulp to do it. I’m assuming you already have a project with Gulp set up that uses gulp-imagemin. Install imagemin-zopfli by running the following on the command line in the project folder. In the project’s gulpfile.js, update the task that runs gulp-imagemin to use imagemin-zopfli by setting the use option. I did a quick comparison between the default imagemin PNG optimiser and Zopfli. Zopfli compressed my sample PNG better (59.8% vs 53.8%), but took longer to do it (866ms vs 101ms).